Turbo Fast Results: How to Get Them! 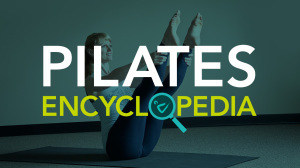 In Pilates, it doesn’t matter so much what you do but how you do it. In watching the clients I have trained, I’ve come to realize it’s the ones who take the four principles of Pilates to heart that change the fastest. And what are these principles? Focus, awareness, control, concentration. You may notice these are about mental workings, not physical ones. Movement patterns start with mental patterns. Patterns are powerful. For example, many of us fall into the trap of thinking something like, “I need to lower my legs as far as I can in abdominal exercises to get a great workout” . This is a common mental pattern, but it is not true. Here’s why: if you lower your legs as far as you can but disregard the fact that your lower back is arching off the mat, then your hip flexors are now pulling on your lower spine without enough support from the abs… and the abs are no longer getting the work you intended. This pattern of thought often leads to an injured back, not to stronger abs! Even when you pay close attention in class, take a look at how you’re spending the other 23 hours of the day. You can try a million and one fitness trends and pieces of equipment, but if you continue to stick with a mental pattern of telling yourself that the calories you eat when nobody is looking don’t count, then you’re not going to lose that weight. Every time you come into class, it doesn’t matter how weak or strong you think you are, whether you are in or out of shape, whether you’re a brand new student or a workout junkie. What matters is that you’re willing to make a change. e aware and have the courage to look at yourself and your patterns with kind and honest eyes. That’s all it takes. To start working toward your fitness goals, check out our Start Now page!